Click here for the latest TSI press release. The Safety Institute offers annual individual and group memberships. Learn more about the benefits and join today. Are you or a loved one living with the consequences of a severe injury? Find out how to get help from our Survivors Network. Are you a safety professional seeking help with your research project or evidence-based intervention? Learn about our Grantmaking opportunities. The Safety Institute is a 501c3 non-profit organization that emphasizes injury prevention and product safety as an important basis for a healthy and productive society and as a vital component to reducing health care costs. TSI has a special focus on areas of new and emerging technologies and issues that are underserved by other organizations and advocates. Many unintentional injuries can be prevented through safer practices and products. The Safety Institute promotes evidence-based advocacy, education and research solutions to reduce injury risk through grantmaking, policy advancement and Survivors Network. 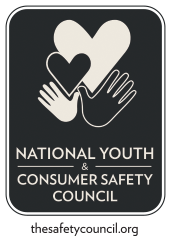 TSI launched The National Youth and Consumer Safety Council. The Council is comprised of school based organizations, nonprofits and government agencies who are committed to making the lives of children, adults, families and all consumers safer by getting vital safety and recall information into every home. The Safety Institute employs and partners with expert legislative and executive branch advocates, at both the federal and local levels. To enlist our aid with a policy matter, or to learn more about TSI’s priority Issues, Click Here. To learn more about the Institute and our Executive Board, please Click Here. Check here for the latest press release from The Safety Institute. The Safety Institute offers both annual individual and group memberships. Learn more about the benefits and join today.